Today, I wanted to make something a little bit more luxurious. And it had to be a cake, with apples. 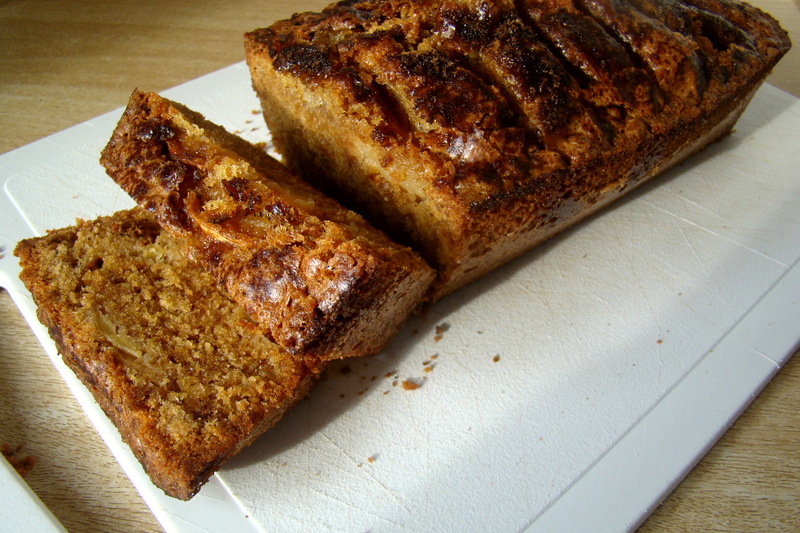 So may I present to you: Apple Cake with Biscoff and Brown Sugar! 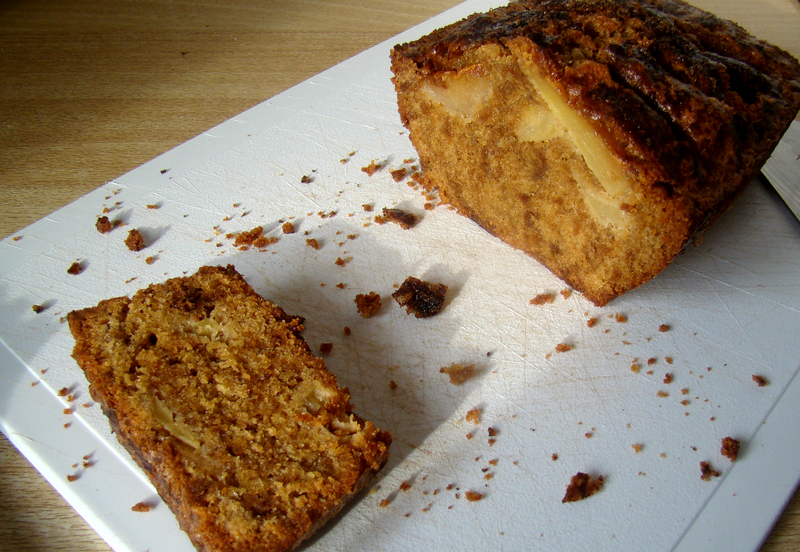 It is a luxurious version of my previous apple cake. I told myself I would only be baking something if there was an occasion. But let’s face it: if you want to bake, you’ll always find a way to make something an occasion! Thank you Angie, for hosting this awesome event! 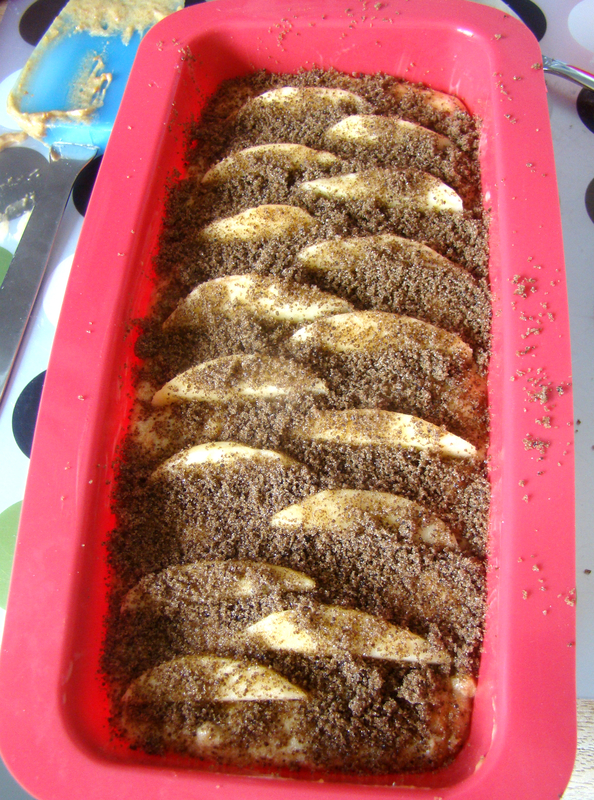 Mix the granulated sugar and the butter together until the sugar is completely absorbed. Add the eggs and mix it well together. Sieve the flour, add it and mix it until it is nice and smooth. Mix the crunched Biscoff gently together with the batter. 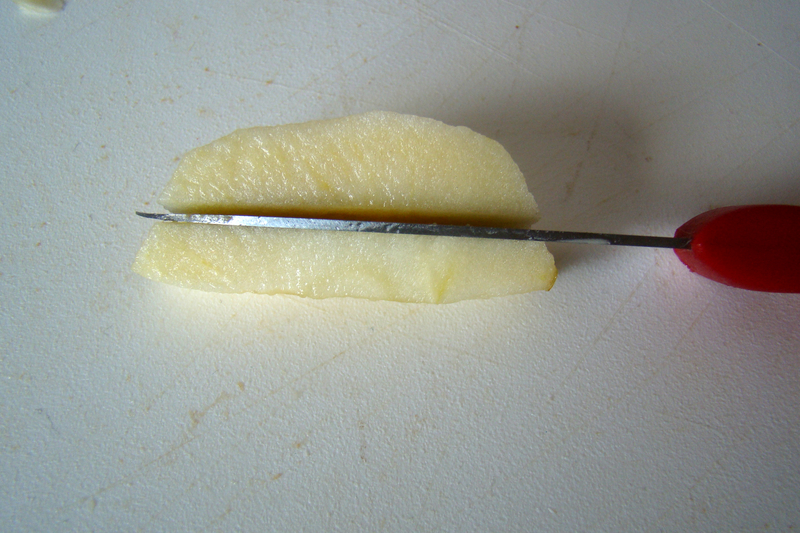 Skin the apples. 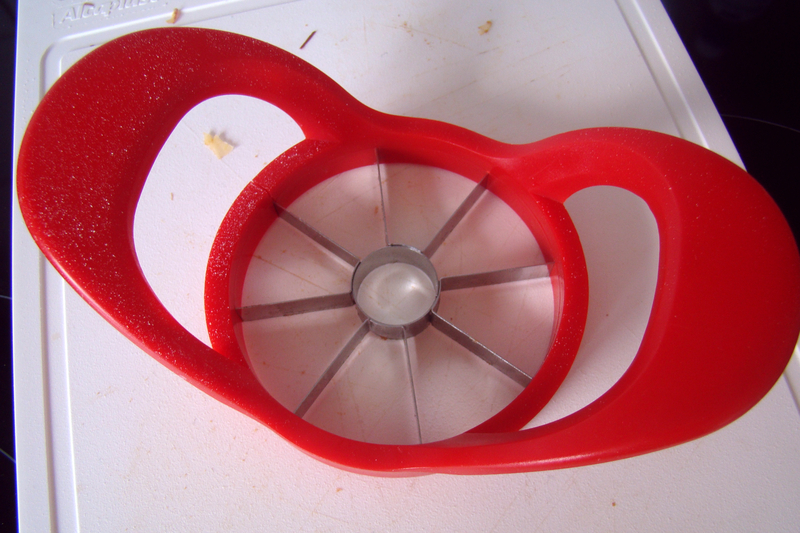 I have a tool that cuts the apples in 8 pieces. 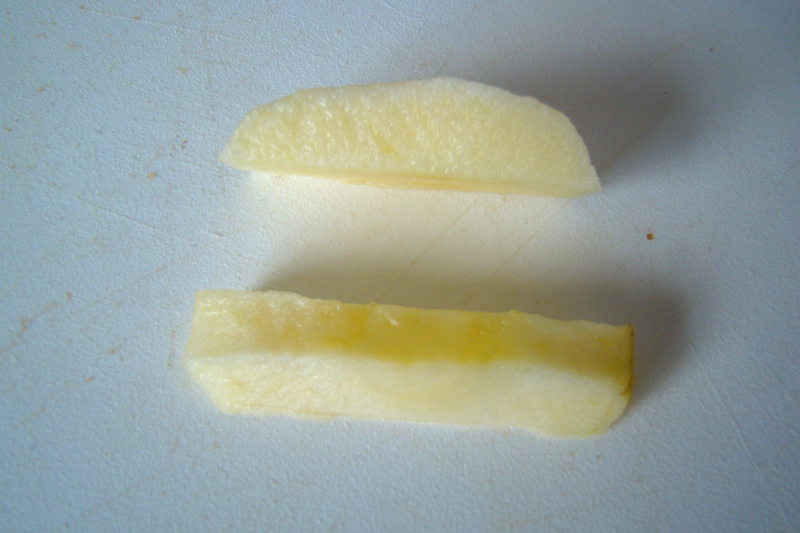 Cut the pieces of apple in two (horizontal). Now you should have a piece that’s straight and a piece that has a little arch. Cut the straight pieces in cubes. Put these cubes in the batter. 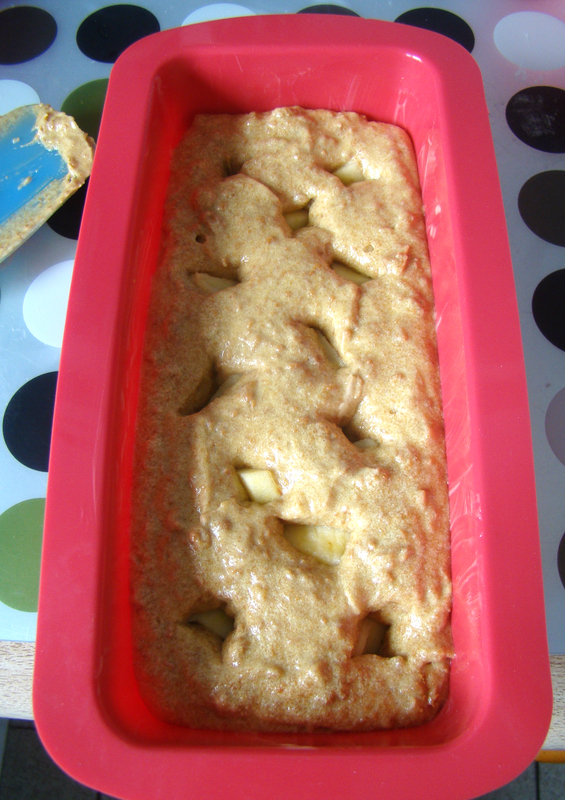 Use a spatula to make the batter flat again and the cubes invisible. Place the other pieces on the batter. They can stick out a little. Last, but not least: sprinkle the brown sugar on top of the cake! Bake the cake for about 55 minutes. Let the cake cool when it’s baked. To check if the cake is baked, use a knife to put in the middle of the cake. If it comes out clean, the cake is ready! Thank you Martina! Oh that is so sweet of you to say! I understand. So would I. I love tea’s and drinks just as much as baking! Best combination ever! 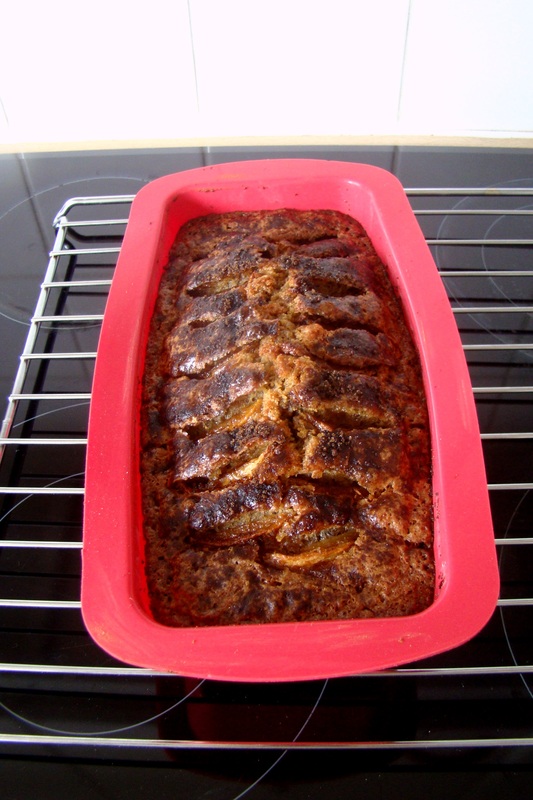 What a great cake–it looks so yummy! Fiesta Friday really is an occasion for baking such a delicious cake. Those pictures are super – I can almost smell the apples. But what is Biscoff? Sounds like something I should know about. That helps. So I will presume any speculoos will do. And I believe I love every brand I’ve tried. 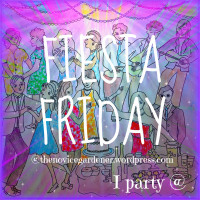 Oh my goodness – this looks fantastic – moist and applely too – thank you so much for sharing this with us and have a great Fiesta Friday! Happy FF to you too! I’ll definitely make that cake again! 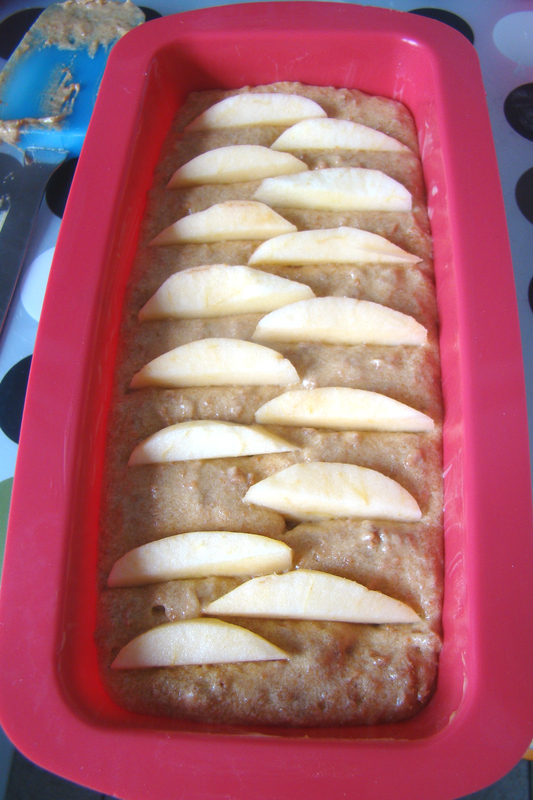 Quite a different way to make an apple loaf cake… I like the idea of the apples resting on top of the batter and the brown sugar. That looks so delicious Sarah! 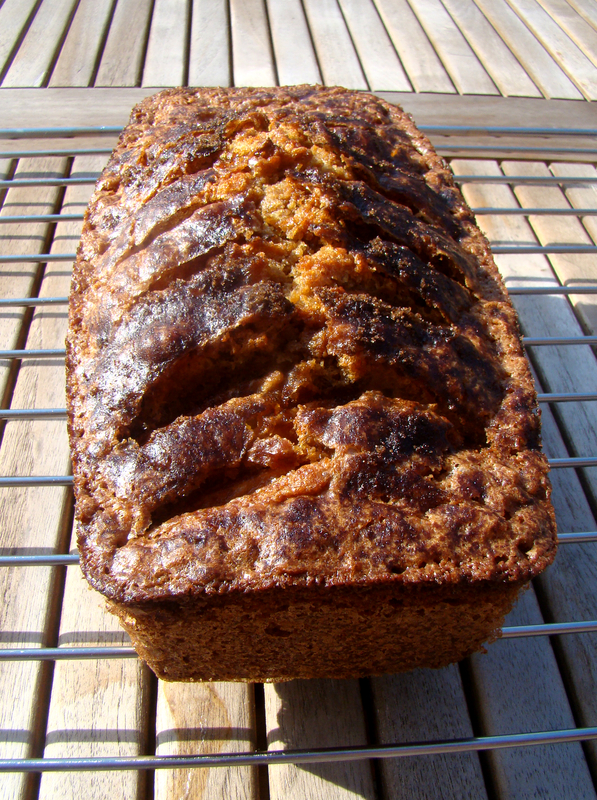 This looks perfectly baked…nice to munch with a cup of hot drink…..
How perfect is this for a spoonful of almond butter? Or dunked in milk or hot chocolate? Or plain!!!!!! Great job and thank you for bringing! 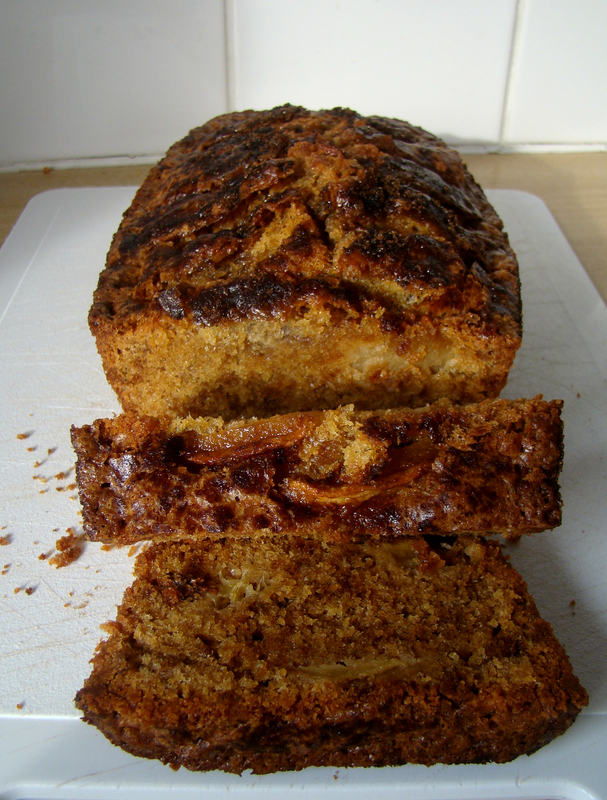 This cake looks so rich and moist- thanks for bringing it to the party Sarah!